AsthmaMD is the original asthma research app. 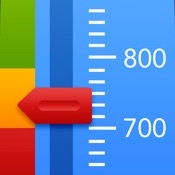 Is a FREE (no hidden or upgrade fees) iPhone, iPod, iPad asthma management application. The number-1 asthma and COPD management app, now sold with the AsthmaMD Peak Flow Meter in every Walgreens and CVS in US. AsthmaMD is easy and quick to use. Created by Sam Pejham, MD. Keep a journal of your asthma easily and quickly. Visualize your asthma activity on a color graph. Patent Pending Asthma Action Plan for greatly simplifies using your Action Plan. Share asthma diary and color graph with your physician. Use AsthmaMD to help doctors with asthma research. Manage multiple users with one device. Easily pick from a list of medications. Track how medication is helping you manage asthma. Instantly map your PFM to severity zones. AsthmaMD not only helps you track your asthma but you will also be helping doctors and researchers learn more about asthma, and other asthma sufferers like yourself learn about high asthma locations. You have an option to participate anonymously and securely using systems managed by google to provide researchers with information that has never been available before. Imagine helping a parent find an area to move that has a lower asthma rates, or pick a school in an area with a lower rate of asthma attacks. We are going to change asthma research and you have a chance to be part of it. Support us and asthma research by downloading and using this app and telling other asthma patients about it. copyright 2013 SPORTZ, inc. Visso Inc. All Rights Reserved.